Welcome to my corner on the web. Here you find out few thing about me, read my mostly technology (programming) blog. All my projects (ongoing & finished) are listed here. It was long time i was dreaming about ability to compile apk online. So this blog post (tutorial) will be how to prepare C9 online IDE or any similar based on ubuntu linux to be able to develop online. First of all, create new empty ubuntu box and resize it to 1Gb RAM and 5GB storage. Simple APK compile stull will require about 1GB of storage, but if you decide to go on gradle dependency management system- storage will grow to 2.5GB. I prepending everyhing with sudo command, in case any permission will be missing. Now add environment variables to your system. Save and exit by pressing CTRL+X on keyboard and confirming that you want to save changes by Y. Restart your machine or environment. sudo /opt/android-sdk/tools/bin/sdkmanager "tools" "platforms;android-24" "build-tools;24.0.3"
Looks like everything is prepared, now need “Hello world!” android application. You may need to prepare it according structure and create all files or You can download this HelloAndroid project and extract in in your workspace. Answer all questions and provide password. echo "Translating in Dalvik bytecode..."
echo "Aligning and signing APK..."
Script will ask password for your keystore that you provided earlier. This solution works if your application does not have any dependencies on external libs and gradle wrapper is not used. Probably, automated install script can be made but that's for another times. In case you have any suggestions, comment or anything worth to say- comment below. Hello my readers. This record will be quite different from previous, as I'll try to write review for a watch. For quite long time I wanted hi-tech type watch. For now, technologically advanced watches is Altimeter-Barometer-Compass (ABC) watches. Also, there is wrist computers (ABC, GPS, etc) but it's not intended for everyday regular use, so I did not even considered this type of watches. 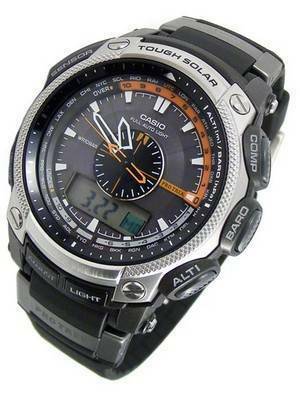 I've searched for ABC watch and preselected few model: Casio Casio PRG-500, Pyle PSWWM82BK, Weather master 7. Casio was little bit to expensive for me, WM7 was bulky in view. So I've chosen Pyle. Probably it's just rebranded no-name but I liked inverted LCD, nice outfit and reasonable price. Now let's get it to the topic, where we should be. Received quite nice looking hard-paper box with transparent window to watch itself. Manual, included with this watch is written in english and french languages. It was really good written, understandable and with nice and explainable illustrations. Everything is detailed in sections. High mark for manual! Every watch primary function is to tell it's wearer what time is it now. This clock show it in big digits on main screen. Above clock line you may see day of the week, bellow- date. Time and Date formats can be chosen, 12/24 hours and MM-DD or DD-MM as date. Year in not visible all the time. But why would you like to see current year? Watch as apparatus to tell time is perfect. Pyle PSWWM82 may read weather pressure and show it in different formats (mBar, hPa, InHg). It remembers hourly reading for 36 hours and may predict forthcoming weather by showing one of 4 icons: Sunny, Sun in clouds, Cloudy and Raining. Based on pressure reading this watch may calculate difference in altitude (with exception that weather not changing drastically). This instrument is accurate: at home I've set ground zero, got to work and in evening came back. At home it shown -1 meter. This misread was because air pressure is constantly changing. It shows min or max altitude, and total ascend and descend. And one more great feature- compass. Nothing to much about it. Just need to calibrate it at beginning and set magnetic declination based on your location. If clock is not in horizontal position- upper line blinks to show it. Also it blinks if magnetic disturbance is detected- strong magnetic or electric field are detected. Compass works very well, easy to read and use. Oh, almost forgot- this gadget has EL panel as back-light. With EL Panel all face is light equally and easy to read in darkness. Not to bright if you just woke up at night and want to check time- it wont flash with light in your eyes. Inverted LCD (when everything is black and digits are white) looks nice, easy to read in bright light or at home. But when it comes to quality of watch as item, I'm not so enthusiastic. Front face glass (crystal as other calls it) is probably mineral- in other words- glass. That's why care should be taken to preserve crystal from scratches. I've applied screen protector while this watch isn't scratched badly. Probably, some day I'll have to replace crystal, but as far as my quick research says- it not very trivial task. Front crystal size is 33mm- and it's quite usable format in nowadays- so your watch service technician should be able to do the job. Plastic of band is quite hard (not even close to rubber or silicon) but I like it. Easy to see digits in bright sunlight and in artificial lightning. Good news for JQuery developers- two of most popular frameworks becames compatible. Now, jQuery, jQuery-Mobile and jQuery-UI could be used at the same time- no more error any more. Great!!! In earlier versions I've been sacrificing jQ-UI because of compatibility issues with JQM, but now I'll use full power of jQuery without any additional3rd party plugins.